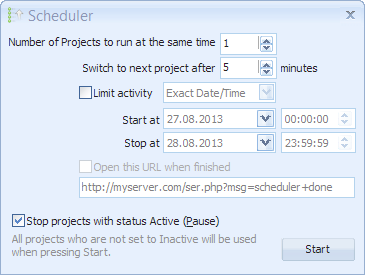 To automate your backlinking, right click on each project in the project pane and set each status to Active. 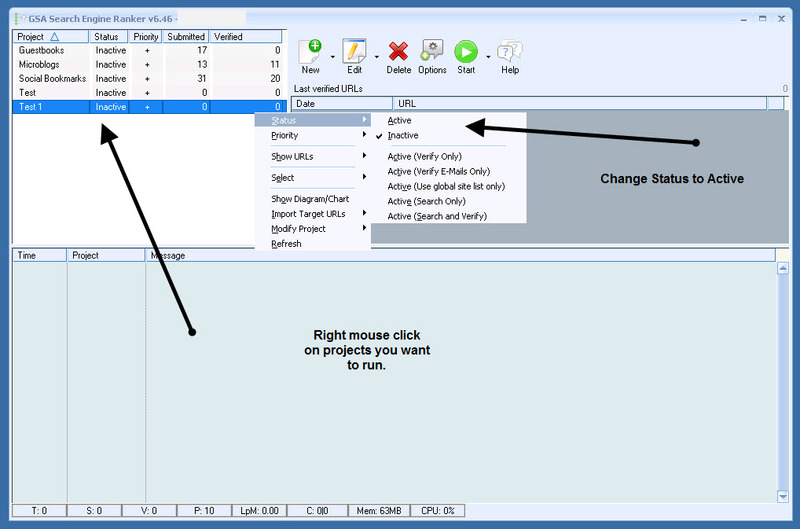 Click on the Start button in the toolbar to begin execution. 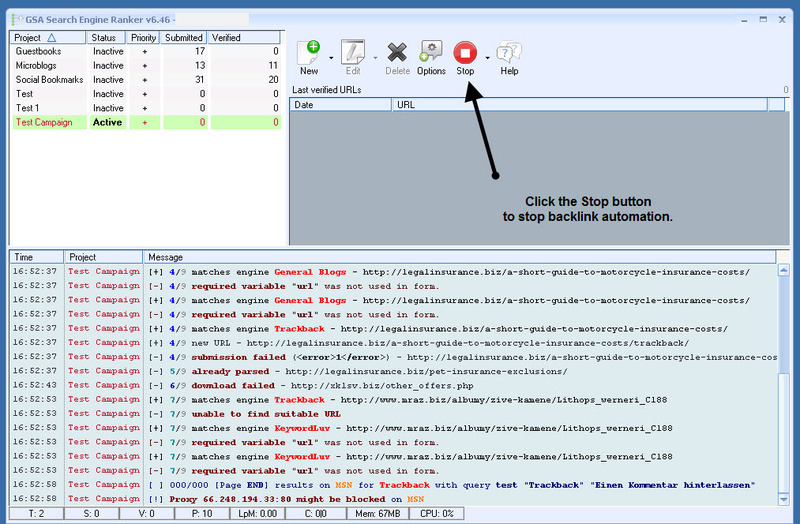 To stop backlink automation, click on the Stop button. The Scheduler is accessable by the down arrow next to the Start/Stop button. 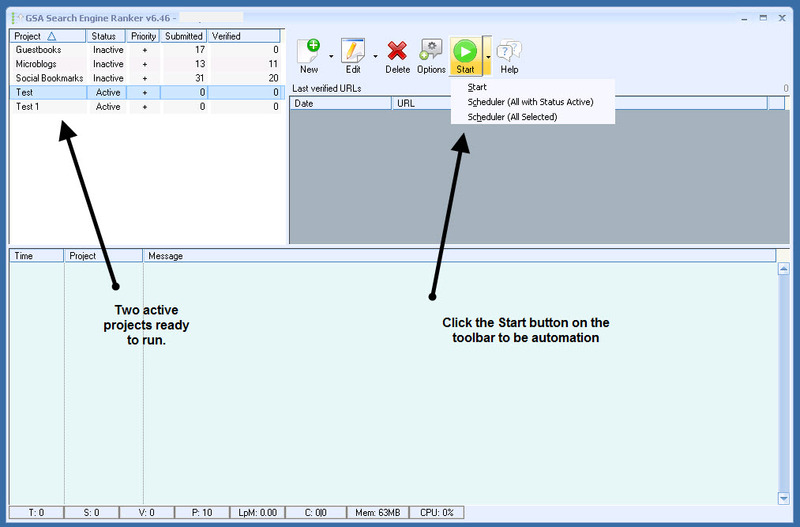 You can on the next dialog configure it to start either at a set time or only run projects for a set number of minutes before switching to another one.